What can math tell us about distinguishing a cheap wine from an expensive one? Can we use statistics to learn a friend’s food preferences, or how preferences change over time? 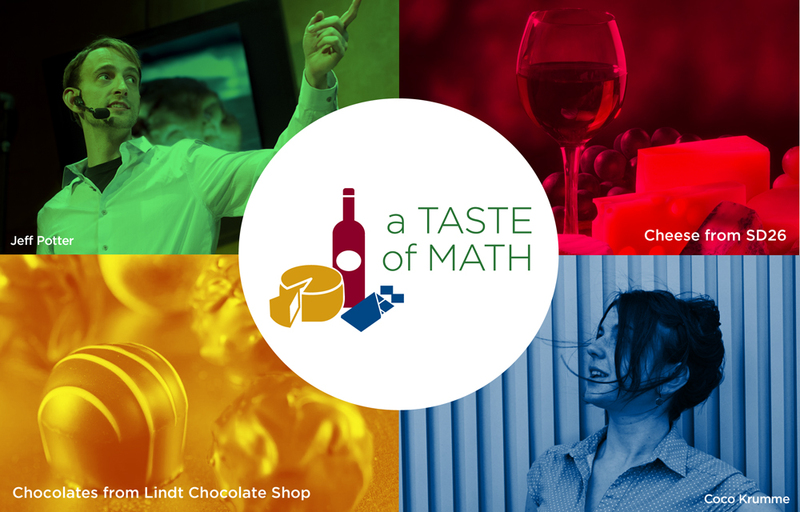 Join MoMath guests Jeff Potter and Coco Krumme as we explore statistics and probability theory, models, and heuristics… all by way of wine, cheese, and chocolate. Math has never been so delicious! Jeff Potter is the author of Cooking for Geeks, which describes what happens in the kitchen using science. Coco Krumme is a behavioral economist at MIT, who uses wine experiments to demonstrate concepts in behavioral economics. Ages 21+ (ID required). Any attendees under 21 must be accompanied by a parent or guardian. Note that tickets for Taste of Math will be $150 same day or at the door; advance purchase prices are below.